Official Thread ╚★ KAAYAMKULAM KOCHUNNI ★╝ ★Nivin Pauly★ -★Mohanlal★ Roshan Andrews - Bobby & Sanjay !!! Discussion in 'MTownHub' started by Mark Twain, Jun 5, 2016. 75 cr ww gross approx. 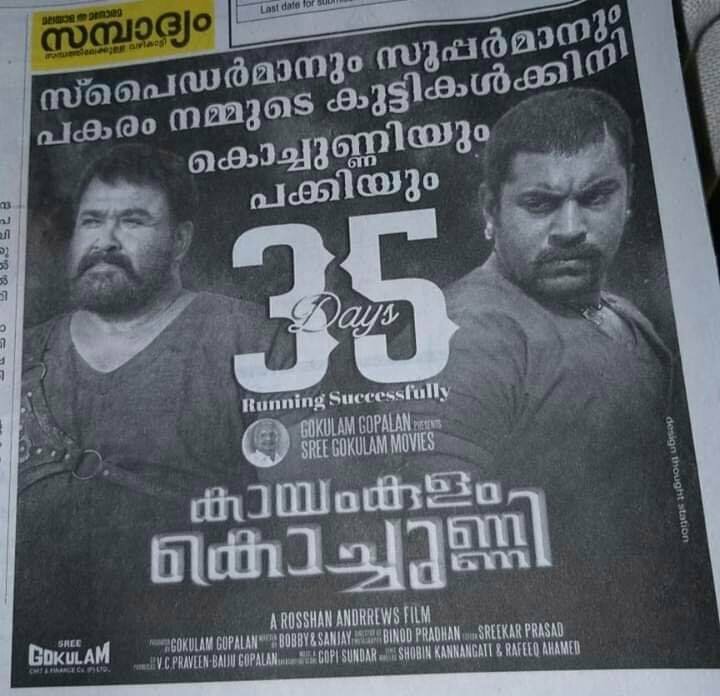 Enthukondum 2nd biggest after pulimurugan aayi kaananam.